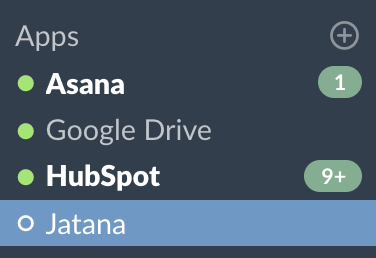 Make sure to have an active Jatana account because the Jatana for Slack App is only available for active Jatana Accounts. If you don't have an account and would like to get started, you can contact our team via Intercom Chat, by filling a form on our website or by sending an email to getstarted@jatana.ai. First, you'll have to log into your Jatana account, you can do so by visiting this page and using your Jatana Credentials. 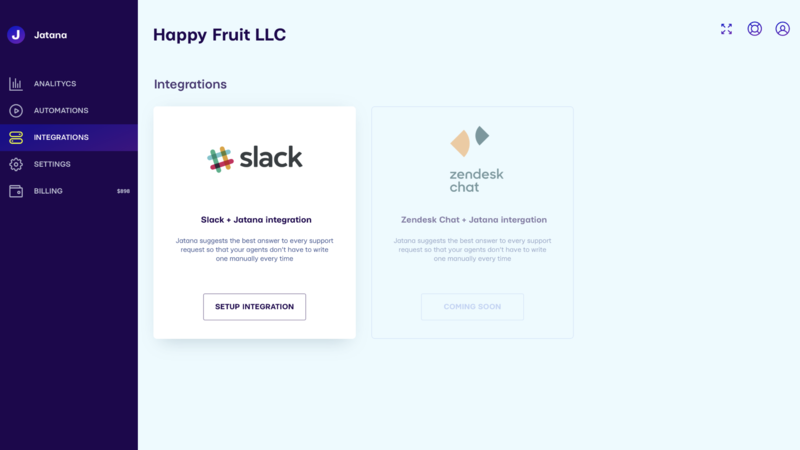 Once you have accessed your account, navigate to the Integrations page to find the Slack Integration card. Then click on setup integration to start the installation process. You will be asked to authorize Jatana to access your Slack account, confirm to complete the installation. Congratulations! The installation is complete! To learn how to use the app, we recommend you to read the Introduction to Jatana for Slack article.